Global Citizens are the norm of today and catering to the norm are a plethora of educational boards to choose from. Parents are sometimes harried at the mushrooming up of various fancy boards and hence a guidance eases the thought process and aids in catering to the understanding and choosing the best option for the child. 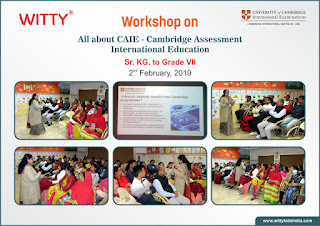 On 2nd February 2019, an enlightening workshop on “All about CAIE - Cambridge Assessment International Education” was organized at Witty International School, Udaipur. The workshop was conducted by the Vice Principal and Head of the Cambridge Section, Ms Deepa Chakravorty to help parents understand the broader spectrum of subjects that lead to all-round development in the Cambridge board. 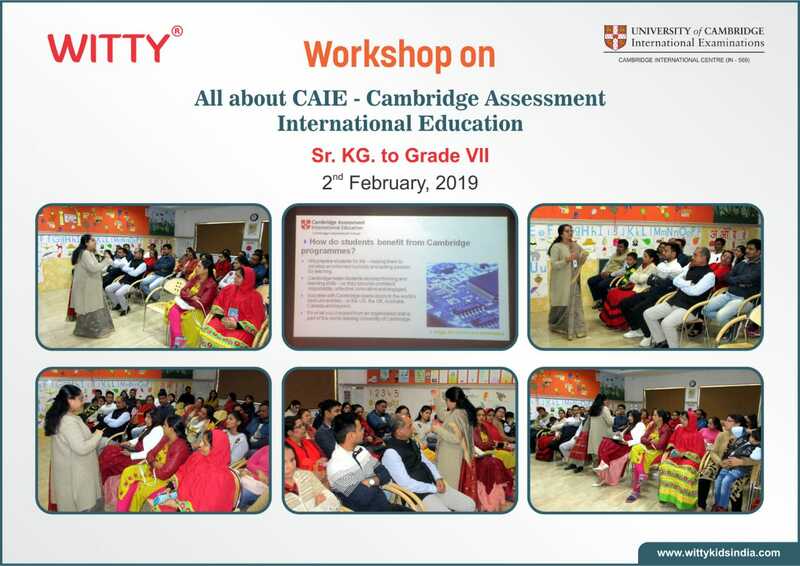 Through the workshop, parents were explained how CAIE is a practical and application-based board, as the examinations test students' knowledge, not their memory and speed and the focus of the pedagogy is on 'how to learn' rather than 'what to learn'. The queries were well catered to and the apprehensions about the board were put to rest. All in all it was a well-balanced workshop catering to the understanding of the nuances of the board.